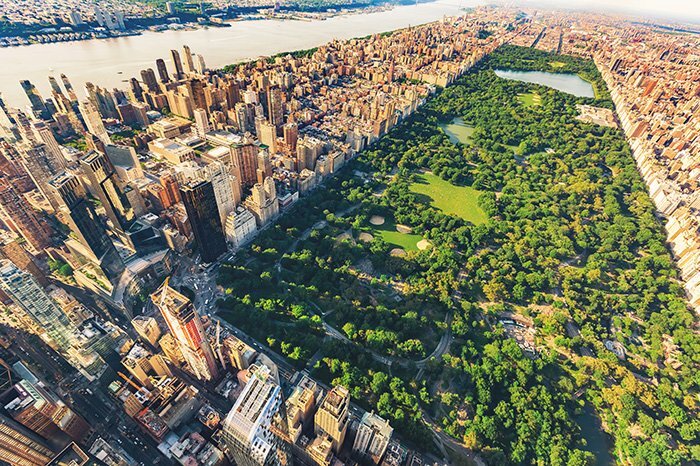 Central Park in New York is one of the world’s most iconic public parks and it is a must see if you’re visiting the Big Apple. Beautiful year-round, Central Park is loved by anyone who visits as it offers an escape from its busier surrounding streets. But what makes Central Park so unique? Its many hidden gems of course! Spreading 842 acres, Central Park is home to stunning bridges, lakes, architecture and so much more. And, in this post, we’re giving you the lowdown on its best sights to see and enjoy. 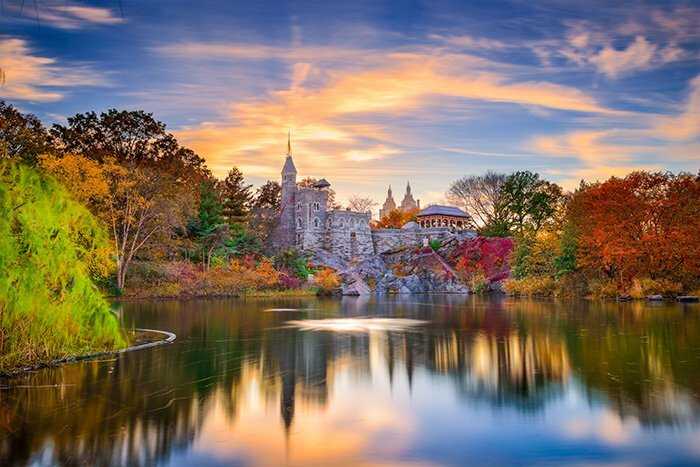 Here are 10 of Central Park’s best hidden gems. Constructed in 1959, just north of the Conservatory Water at East 74th Street, the Alice in Wonderland Statue is a must see. Surround by the Mad Hatter, the White Rabbit and a few of her other friends, Alice sits proudly in her Central Park home. 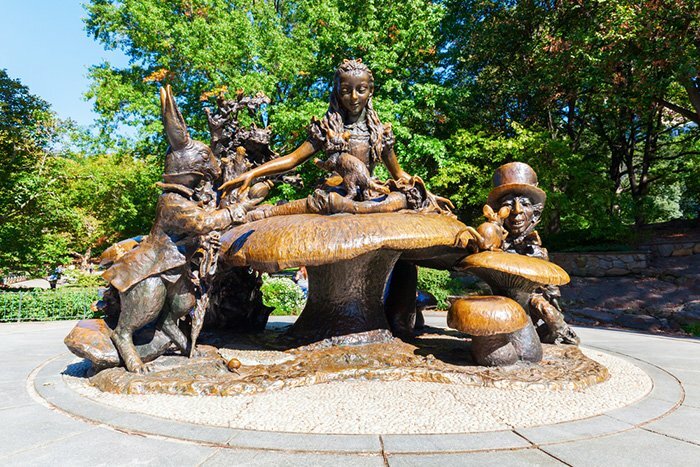 For those seeking a little bit of magic on their New York holiday, a visit to the Alice in Wonderland Statue is a must. Known as one of New York’s most romantic spots, the Loeb Boathouse in the heart of Central Park is a must see. This urban oasis is perfect for romantics and nature lovers. Sitting alongside a stunning lake, you can enjoy a delicious meal at the Boathouse or you can head out on the lake on a traditional row-boat. In fact, rowboats have been drifting on the Boathouse lake for over 150 years. 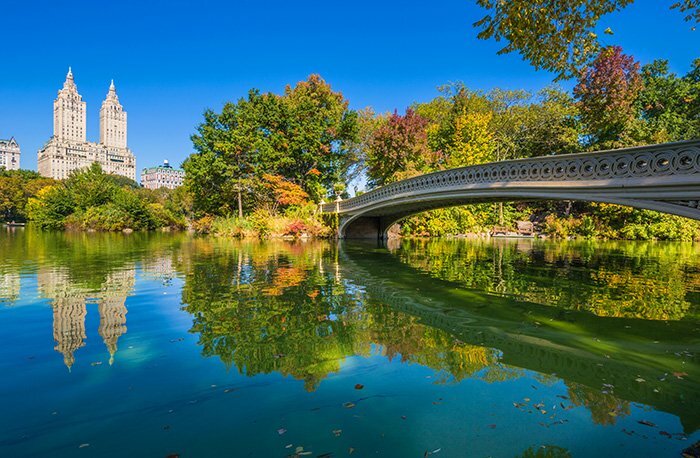 Central Park’s famous Bow Bridge was built between 1859 and 1862 and it was named for its graceful shape, which is reminiscent of the bow of a violinist. Being one of the most romantic spots in New York, the Bow Bridge is loved by many as an engagement spot and it's also very popular with photography enthusiasts. The Bow Bridge spans the lake between Cherry Hill and the woodland of Ramble. It's a must see on a stroll through Central Park. 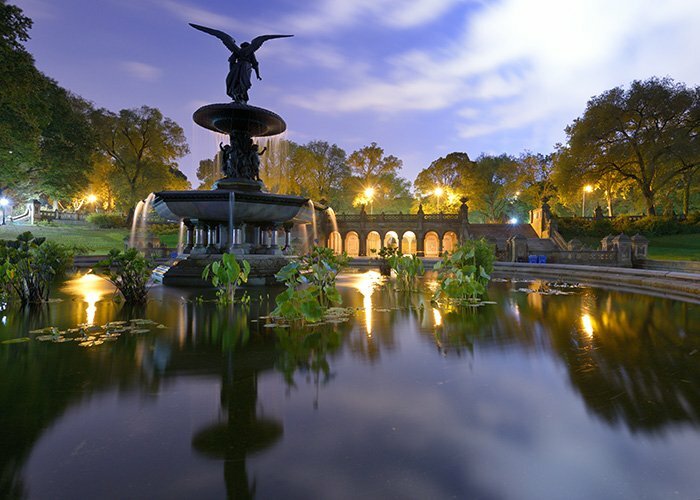 The Mall is a walk way through the heart of Central Park that runs from 66th street to 72nd street and it's famous for leading to the stunning Bethesda Terrace. Historically, the Mall was designed to accommodation the width of carriages passing through many years ago and today, it's one of New York’s most famous walking routes. Did you know there’s a castle in Central Park? Many don’t know about Belvedere Castle, but believe us, you need too! This stunning castle is buried deep in the heart of the park and it sits proudly above Turtle Pond. Meaning ‘beautiful view’, the Belvedere Castle provides just that. With two balconies, you can take in wonderful views over Central Park and from the top, you can see the Delacorte Theater, the Great Lawn, the Ramble and of course Turtle Bond. This beautiful castle really is a must see. If you’re visiting New York with your family, a visit to Central Park Zoo is a must. Located just a few yards from 5th Avenue, this wonderful zoo is home to over 130 different species. A stroll through the zoo will give you the chance to see many habitats, all of which have been designed to recreate the natural environments of the animals who are housed at the zoo. The Bethesda Terrace is a stunning, architectural marvel that was built between 1859 and 1863. It was one of the first structures to have been built in the Park and it consists of an upper and lower terrace which are linked by two grand staircases. The Bethesda Terrace overlooks the stunning Bethesda Fountain which is one of the most well known fountains in the world! This beautiful fountain is a must see and standing tall at 26 feet high and 96 feet wide, it will be hard to miss if you’re nearby. The Gapstow Bridge is one of New York’s most famous bridges and it sits over the neck of the Pond at 59th Street. The bridge is iconic for its picturesque look and its breathtaking views of the surrounding New York Skyline. While there with your little ones, see if you can spot the world famous Plaza Hotel from Home Alone 2! Located at Central Park West, between 71st and 74th Street, is Strawberry Fields. 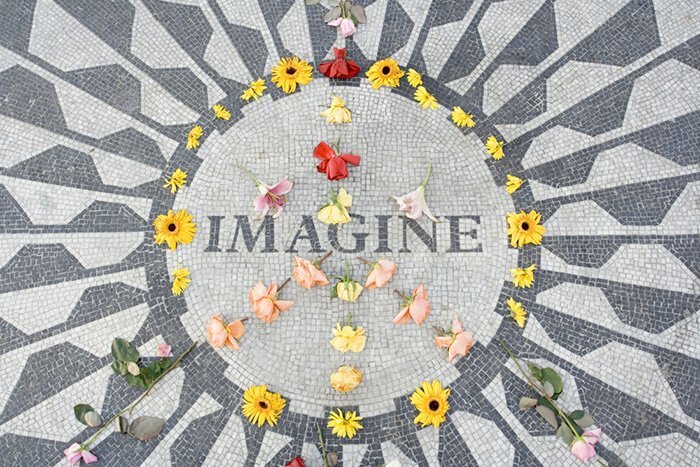 Strawberry Fields is a 2.5 acre park area that pays tribute to the late John Lennon. At Strawberry Fields, you can visit the iconic black and white Imagine Mosaic which was designed in honour of John. It's a moving tribute that is a must see for any fan of The Beatles. Sheep Meadow is a 15 acre field in Central Park that is opens from May to mid-October. This large park space is perfect for a picnic in the sun, reading a book or simply people watching. The space is also used for concerts and events throughout the summer months and it is often packed with up to 30,000 people per day. Best time to visit Central Park? 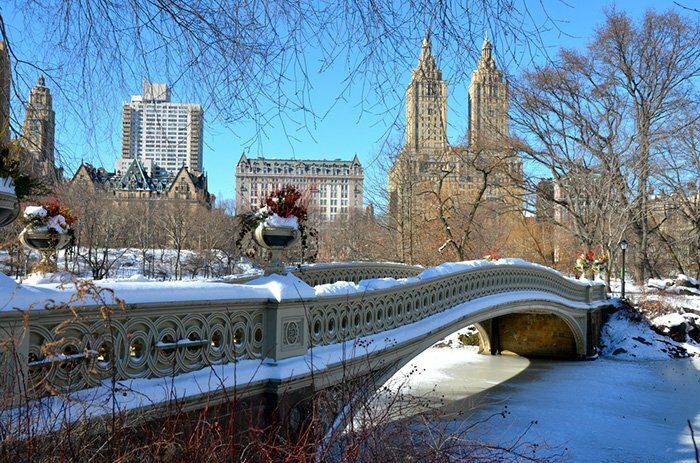 Central Park is a wonderful destination year-round and each season will offer a different experience. Spring in bright and beautiful in the park, warm Summer days are perfect for a picnic. Fall is also stunning as the fall foliage really brings the park to life and finally, in the Winter, Central Park transforms into a wonderland. So when is best to visit based on this? Year-round of course! 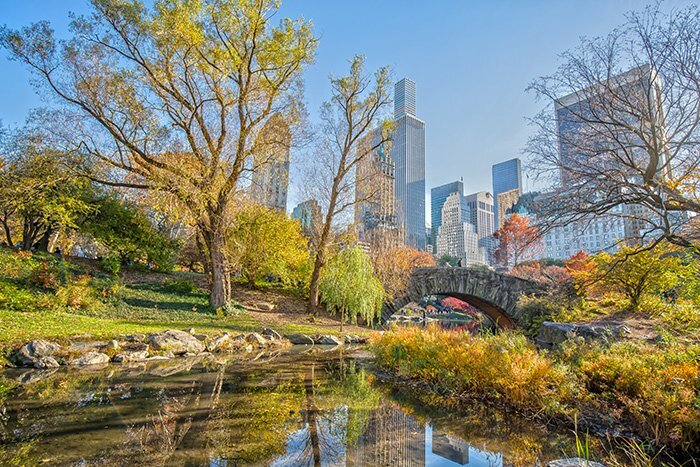 If you’re visiting New York City, we hope you found this post helpful and, if you’re still in the holiday planning stages, why not call our New York travel experts on 01-8173562 for more information on both this wonderful city and Central Park. You can also read more about NYC here. 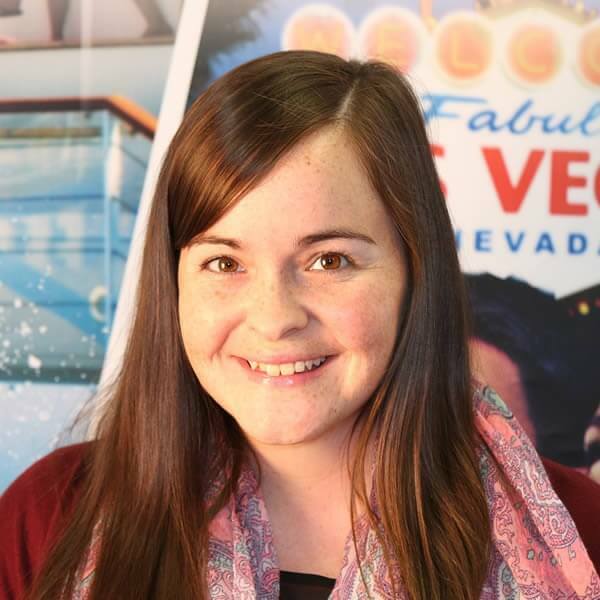 Kathleen is a travel fanatic and is a regular contributor to the Tour America blog. In her spare time you will find her blogging or photographing her way around the world.